An Evansville man has been arrested and is accused of breaking into multiple cars and homes across the city. Police say on September 8th, Glenn Tenbarge attempted to enter a car on Chadwick Avenue. The owner of the car exited their house when they witnessed Tenbarge attempting to enter the car. Tenbarge then fled on foot. Police say Tenbarge also entered an unlocked home on Chadwick Avenue, where he told the owner of the home to give him their car keys. The victim told police there was a small scuffle that resulted in Tenbarge hitting the victim in the jaw before fleeing the house. According to police, another victim on Winston Road says Tenbarge forced his way into their home, claiming that the Mexican cartel was after him. Tenbarge then told the suspect that he needed a ride to Fort Branch. The victim told police they complied, believing Tenbarge would assault them if they didn’t. Once at their destination, Tenbarge allegedly told the victim he was wanted by the law. The victim left after Tenbarge got into another individuals car. Police eventually caught up with Tenbarge and say they found him trying to break into a van on Stratford Street. 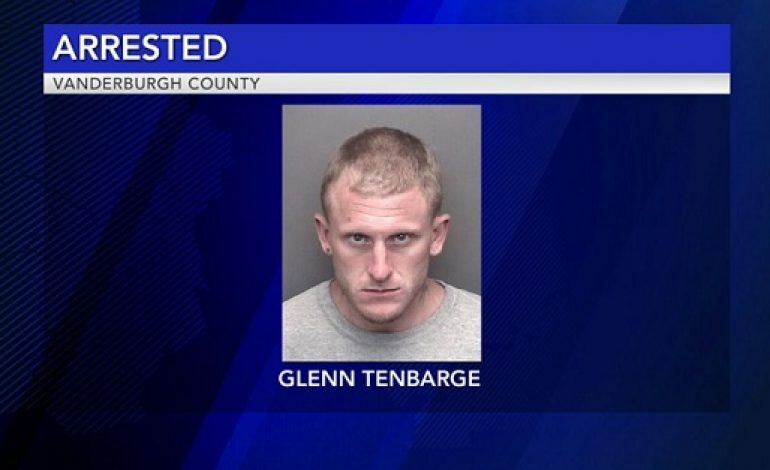 Police say there was an attempt to apprehend Tenbarge, but he fled. When Tenbarge ran he left behind a backpack that contained property that police say Tenbarge’s identification. When police were able to apprehend Tenbarge, he admitted to breaking into cars. Tenbarge told police that he was acting under duress to man he called “Hector” chasing him. Police say none of the victims saw the man Tenbarge was describing. Tenbarge told police that he was supposed to contact “Hector” through Facebook to transport a half pound of meth. He is being held in the Vanderburgh County jail.